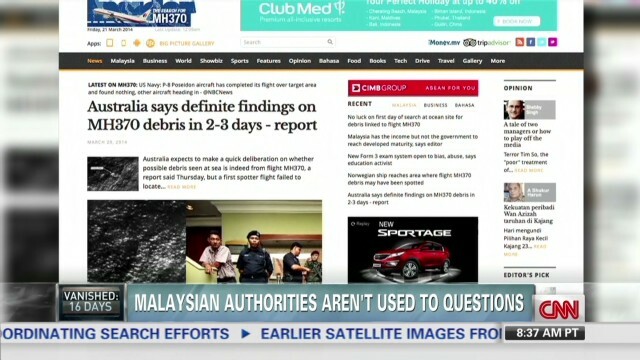 Too much missing plane coverage? CNN's Brian Stelter and Erik Wemple of The Washington Post on the praise and criticism of wall-to-wall plane coverage. Brian Stelter, Miles O'Brien & Jon Ostrower on the difficulties of reporting the Malaysia Air 370 story. Former RT anchor Liz Wahl joins Brian Stelter to discuss the network tensions following her on-air resignation. Brian Stelter reports on how a robot helped an LA Times reporter publish news of a sudden earthquake this week.